Back links are a huge part of SEO and the more links you are gaining to your website or blog, the more visible you become in Google’s search engine; however, you should be aiming to create high quality back links, so just getting a few easy, low quality links will not really do much for you. If high quality websites or blogs are linking back to your website or blog, then Google is going to consider you more authoritative. So here are the tip 10 tips on how to get high quality back links. 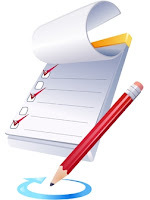 Also See: List of Best Free Blog Directories for Submitting your Blog. High quality content is always good when you are looking to get high quality backlinks. High quality websites will not want your content if it is not decent. It should be relevant to the website you want to submit it to, it should follow the website’s guidelines, it should be error-free and it should generally just be well written; all of this will give you a better chance of having your article accepted by the website you have chosen to submit it to. Links from high quality websites will let Google know that your site is trusted and can be considered an authority site. If you site is considered trustworthy, then this will really boost your rankings in Google. 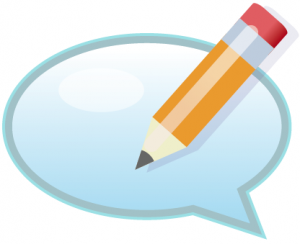 Write For us: If you are a writer then you can Guest Post on this blog. If you want a link, then just ask. Many Bloggers happily accept link exchanges, so just ask. This does not guarantee a link, but it will give you a better chance of obtaining one. If you don’t ask, you don’t get. Comment on blogs that are relevant to your industry and are fairly popular. Also, only comment if you have something useful and interesting to say after you have read the post. Don’t make any useless comments that aren’t going to interest anyone and make sure your link is relevant. If you have contributed something useful, then this will prompt more people to link back to your page. By using a well known company, like PRweb, you can publish and distribute a press release for your business all over the web; this will make you more visible. This is a great piece of content in the form of infographics, videos, interactive content, etc. It is something that people are going to want to link to and let others know about it! Once you have created this content, share it on your social media platforms and get your friends and family to share it. This will give it more visibility. Think about what country the person you are contacting is in and their time zone; for the best chance of getting their attention, you will want to contact them when they are near their computer. Obviously this isn’t always going to work because you won’t know who’s doing what at what time, but you could have a good guess. Everyone loves a good infographic. If everyone had a choice of whether they wanted to read an article or look at an infographic for the same information, then more people would choose to look at an infographic. Make sure it looks good and contains relevant information that is clearly displayed. Advanced search queries allow you to easily find great websites that are looking for fresh content; you can then send emails to these websites and ask for links. Also See: 5 Best Online Tools for Website Owners. No one is going to link to your website if it doesn’t contain great content and it doesn’t look good. The appearance of your website is the first thing someone is going to see and if it doesn’t appeal to them, then there is less chance of them linking to it. You might want to consider A/B Split Testing or Multivariate Testing in order to produce the best website you possibly can. If you want to improve your website and make it more visible, then SEO is something you need to seriously think about. Link building is an important part of SEO and the 10 link building strategies listed above are something for you to try out yourself. Sarah Williams loves everything about marketing and SEO. She suggests taking a look at www.camo.com if you are looking for further information about Multivariate Testing and how it can help you.